I had a chance to shoot some questions to Jr. prostaff member, Micheal Watts of the Bluegrass Buck club in Kentucky. They have some really good happenings down there, but I’ll let Micheal do the explaining. Hey Micheal, how’s it going? Hey Mr. Woodbury, I’m doing great! How are you? Good! Well let’s get this thing started. How long have you been a part of the Bluegrass Buck Club? 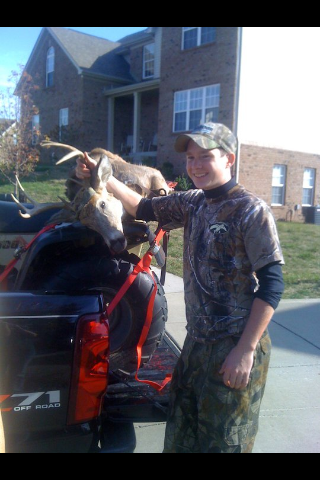 I have been a member of The Bluegrass Buck Club Jr. Prostaff since May 4th of this year. What is your title and responsibilities that you need to do? My responsibilities as a BBC Jr. Prostaffer are number one is hunt with the team. I also promote the B.B.C as well as our many sponsors. We are located in Crittenden County in Western KY.
2 Day, 2 Bird Semi-Guided Hunts (1 Bird per day/ per hunter limit) Youth Only (12 yr – 15 yr required to have youth hunting license & tags) – April 2nd – 3rd Shotgun, Bow, Crossbow – that meets state laws * Free * (excluding lodging, food, tags, & license) Regular Season – April 16th – May 8th Shotgun (10 gauge – 20 gauge) – $550.00** Bow (Longbow, Recurve, & Compound) – $500.00** Crossbow – $600.00** Fall 2 Day, 2 Bird Semi-Guided Hunts (1 Bird per day/ per hunter limit) Youth Only – To Be Announced Shotgun Only – To Be Announced Bow Only – To Be Announced Crossbow Only – To Be Announced Shotgun – $550.00** Bow – $500.00** Crossbow – $600.00** Whitetail Deer (Archery Only) Season – To Be Announced Per Person/ per 5 day hunt $1050.00** Per Person/ per 2 day hunt $600.00** Whitetail Deer ( Gun Season ) Season – To Be Announced Per Person/ per 5 day hunt $1600.00** Per Person/ per 2 day hunt $925.00** – ALL CUSTOMERS MUST PAY EITHER – * HALF ON DAY OF BOOKING & HALF 3 WEEKS BEFORE HUNT. * * 1/3 ON DAY OF BOOKING, 1/3 TWO MONTHS BEFORE, 1/3 TWO WEEKS BEFORE HUNT* **Price does not include lodging, food, or state license or permits. What is the biggest deer and turkey taken from the club? I am 17 years old. To be honest with you, this year is really the first year I’ve wanted to be a part of the outdoor industry. 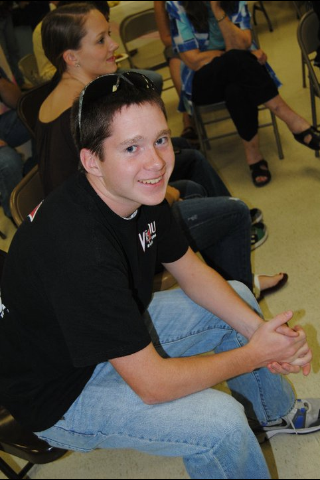 Wow that’s pretty young, how did you get involed with Bluegrass Hunt club? I have been around hunting my whole life and I have hunted off and on since I was born, but this year I killed my first buck, and really got really focused on the industry. I managed to land a deal with a camo brand, which helped get my name out there. I ended up finding JD Irelan who is the owner of BBC and I shot him an email, and said we should talk. I called him up on the phone, and he told that BBC didn’t have a Jr. Prostaff at the time, but he’d keep me in mind. So sure enough when BBC expanded to a Jr. Prostaff he shot me a message, and asked if I was still interested in the club, and I said yes sir! The rest is history, ive since switched camouflage brands to Crossover Camo, which the club is sponsored by. What is your future plans for you? My plans for the future Is become a light for God in the hunting industry as well as making a name for myself, and BBC in the industry. What can you tell people that sets Bluegrass above the rest of the Hunting ranches. The mission of the Blue Grass Buck Club is to enhance and enrich the lives of youth through the proper guidance and education of respect for the outdoors. Through proper teaching of how to hunt safely, efficiently, and effectively given the tools provided to us from a Christian foundation we attempt to enhance lives to enjoy what GOD has provided for us. We reach out to kids that have dealt with neglect, endure health issues, been in trouble, or just wanting to learn about hunting and provide them an opportunity. Our experience has shown that kids grades get better, personalities change, and behaviors improve due to this experience. Learning to respect and enjoy the outdoors has also shown to provide structure and self-discipline that is needed to be successful in all areas of life. We are all just friends with a similar Outdoor initiative of doing good things for good people. Wow, they really know how to raise them down south don’t they? So if you are interested in supporting a good cause, getting on a monster tom or are interested in getting dirty with a big ole buck down in Kentucky go to their website, just press on their logo and book a hunt. If you see Micheal tell him I said Hi! This entry was posted in archery, hunting, Life, saving money, Uncategorized and tagged archery, bluegrass, Bucks, hunting, interview, Kentucky, matt woodbury, michigan, Mossy Oak, turkeys. Bookmark the permalink.